Corruption is more predominant in Sub-Saharan Africa, mainly because, weak institutions cannot implement the required checks and balances required for effective democratic and accountable governance. Connected Development [CODE] through its initiative, Follow The Money (FTM), since 2012, has been at the frontline of initiatives that seek to address these aforementioned open government challenges in Nigeria through the civil society perspective of a grassroot movement. This, the organization is now extending to the New Gambia. Follow The Money Gambia is a project under a Gambian non-profit, Gambia Participates, led by the young activist and youth leader Marr Nyang. The project aims to leverage on Gambia’s current political climate to entrench functioning democratic governance, effective public oversight, open government and improve the lives of communities in the country. 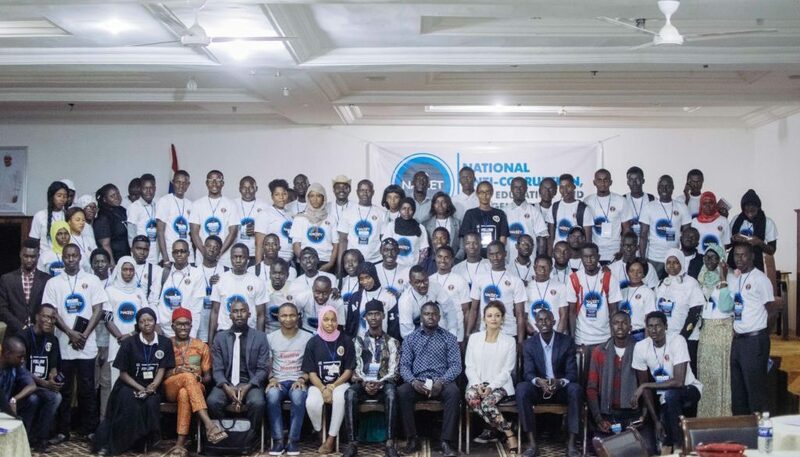 Having mobilized young volunteers across the country, committed to following the money in their various communities, FTM Gambia flagged off the National Anti-Corruption, Citizen Education and Engagement Training (NACEET) Series 1.0. The training which took place on 17 January 2018, was to build the capacity of these volunteers on the FTM processes which they will step down in their communities, while they start running a campaign. As part of this, we were in the Gambia for a week, 16 – 20 January 2018, over a set of activities, all geared toward creating a favourable environment for citizenry driven accountability work and building the capacity of FTM Gambia. The team, which I was part of, facilitated sessions on the NACEET where participants were taken through the Follow The Money process. Furthermore, there was a press release about our visit, the NACEET and FTM Gambia operations. This was followed by radio and tv programme. Through these, we further sensitized the Gambian citizens on their rights, roles in the society and the essence of fulfilling their society-demanding responsibility of holding the government to account. Furthermore, these media activities were geared toward calling on the Gambian government to implement an FOI law in the country, so that citizens’ will have the right to request public financial information. Recognizing this to be an obstacle in the accountability work, fiscal transparency and the ambition of FTM Gambia, we paid a courtesy on the Lamin Darboe, Executive Director of the Gambia National Youth Council for a collaboration toward having such a law implemented. Such visit was also paid to the Director of International Republican Institute country office in the Gambia. Obviously, we would not have gone to The Gambia without a visiting a rural community. As such, the team was at Touba Angellah in Nuimi, North Bank Region of the country, 45 kilometers away from Banjul. For a community engagement programme. The dilapidated health and educational facilities in the community were assessed for coherent advocacy for them to be fixed. This also afforded us the opportunity of conducting citizen education at the community with a focus on anti-corruption, budget tracking, active citizenry and social accountability. The trip was a beautiful one, regardless strengthening the capacity of FTM Gambia in running campaigns, including having a well structured internal system and processes for improvement in performance of its activities for phenomenal outcomes and results, it was a great opportunity to meet our colleagues there. Also, we enjoyed good Gambian meals, met several friends and enjoyed the beautiful coastal scenery of the country. In addition, the NACEET afforded me the opportunity to meet vibrant and passionate Gambians who were ready to make sure their country works through being active citizens. By the end of the year, FTM Gambia would have carried campaigns in 20 constituencies of the country, while being at the frontline of strategic and multi-dimensional advocacy for the enactment of a Freedom of Information Bill in the New Gambia.